« Break it down Folks; it’s just a Gazillion Atoms! Brave the Crowd & Get Thee to a Festival! Almost everyone I know dislikes crowds – at least those who can’t travel in the comfort & protection of strollers or baby carriers. And since festivals are designed to be attended by the masses – many families avoid them. But if you are looking to fill your day with fun, while learning alongside your family – let me tell you – festivals pack a punch with plenty of hip, hands-on action that doesn’t even require water – (but in SoCal, bring it anyway). Scroll to bottom of this blog for my annual list of festivals; asterisks indicate ones that are NOT over-crowded. In today’s blog, I will share some tips on making festivals more palatable for the fearful, as well as how to maximize the fun & learning for everyone in your family. My favorite reason to go to Festivals can be found in the motto from this year’s 2009 Korean festival – Encouraged To Come Together: Share Culture and Get a Better Understanding. People from different cultures have unique ways of preparing food, greeting one another, creating art and sharing stories. At our children’s earliest ages, we should CELEBRATE unique traditions and habits, not only in other cultures but within our own. It is equally important to share how similar we are to everyone in our world as how we are different. This open sharing and identifying can help minimize each child’s internal conflicts in a confusing world. Does the world ever get less confusing; really? By experiencing unfamiliar settings within the security of a family unit, we afford our children an early sense of reassurance that will bolster them onward when they find themselves in places that differ vastly from their home culture. So first thing first. How do you go about finding the really good festivals? 1.Look Locally. Attend festivals that are in walking distance from your home or a friend’s drivewayto minimize the hassle of parking. 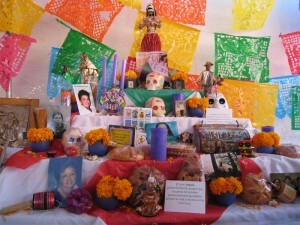 Our town of Canoga Park holds a Day of the Dead Festival about eight blocks from our door. This diverse festival is truly impressive. 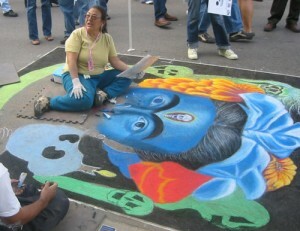 The sidewalk chalk art alone is mindblowing, not to mention traditional dancing, live street music, in-memorium dioramas, and a “pimp my ride” car show. The crafts for the kids are always FREE. Canoga Park also puts on a fun Saint Patrick’s Day Parade which is a bit weak in comparison, but where else can your whole family march IN the parade with St. Patrick AND a Mariachi band? However, this year we passed on the local parade and went downtown for LA’s St. Patrick’s Parade instead. With some other families, we parked our vehicles at the nearest metro parking lot and took the subway to Pershing Square. We found a great bit of sidewalk to sit on. We let our kids swing and dance around because most people won’t crowd in for fear of battle scars. For a simple way to prevent from getting crowded at parades and festivals, try blocking out a fair amount of space with strollers and bags. Now, if you do have to spend time finding a parking spot or if you need to park far away, consider dropping your family off and agree to meet up at a certain location like the ticket booth near the front gate, or a specific side of a city block, or the base of a ride that you can see from the parking lot. With the advent of cell phones this has become even easier. Always have an “if we get lost or separated” location to meet-up as well. At larger festivals, we might have one for each section. 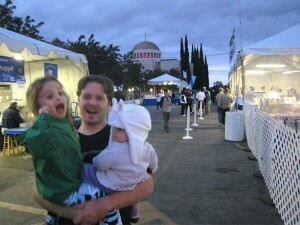 Greek Festival in Northridge – We learn, we dance, we FEAST! 2. Be on the lookout for signs about local school or church fundraisers. These are posted on bulletin boards in stores and restaurants or at busy intersections. Sometimes school festivals have more rides and games than crafts and exhibits – but games can be hotbeds of motivation and tactile activity that can make learning fun and rewarding. At a nearby school fair, we counted throws, balls and people in line. Later, we added and subtracted our booty of tickets to redeem the correct amounts for coveted prizes. Not only did we support a local school, but we made new friends and new neighbors. Attending a Greek Fest supports a church and a community. With the high-end crafts, traditional dances, tours and talks in the basilica my family experiences a wonderland of Greek culture. Okay, you caught me! I am most truly motivated by the 14,000 pieces of Baklava made by Greek Mamas and Yayas. School fundraisers can teach alot like Muse’s Lavendar Faire at the Bluffs. It was a zero waste fair highlighting many environmental concerns (even the vendors’ goods were sustainable – biodegradable cups, wooden spoons, etc). There were bean bags to read books in comfort, young talented kids singing on stage, and our favorite – a fun booth that displayed how Fish poop can help grow plants. The Waldorf Highland Hall has a wonderful Spring and Winter Faires worth attending. We happily support Rocky Peak in Chatsworth for the Bethlehem Festival where shekels buy salt, goat cheese & spices. 3. Check out Universities and Colleges like UCLA who offer wonderful festivals free for the public. Yes, it might cost more than $5 to park, but you don’t have to circle for a parking spot. 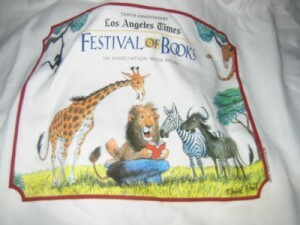 We’ve been going to the LA Festival of Books hosted by UCLA for 5 years now. And the Californian Lutheran University in Thousand Oaks hosts the Scandinavian Festival, one of the best multi-cultural events I have ever attended. Just imagine a constellation of small and large colorful tents spread out along a grassy and tree shaded campus with roaming musicians, story tellers, music played by bands of Swedish and Danish origin filling the air, traditional costumed dancers, yummy foods from Iceland, Denmark, Sweden, Norway and…Finland. The craft stations included making fresh flower head wreaths, bobbin lace making and butter knife woodworking to name a few – and All Kid Friendly. With two Kids performance sections, a storytelling stage, Museum sponsored kids craft tents, Fest of Books is one of LA’s most kid friendly Festivals. 4.Query your favorite Museums & Public sites. The point of a museum is to educate and inform. 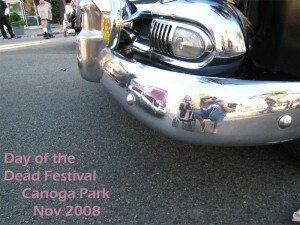 Many festivals are held on the grounds of museums to celebrate their members or to promote a new exhibit. The Japanese American National Museum (JANM) is one of our favorite festival hosts. They sponsor the best crafts for kids (glue guns, beads, origami papers, sweet rice -mochi -making). A JANM festival is over the top with Taiko drummers and more (See the first photo montage of this blogpost)! We’ve been to their New Years, Bon Odori and most recently the Tanabata Festival co-hosted by the City of LA. 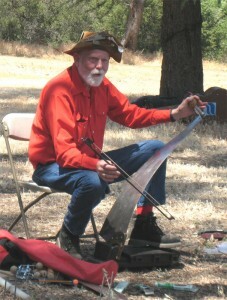 The Autrey Museum in Griffith Park hosts an Intertribal Pow Wow, as does the William Hart Museum. Go to this hotlink for California Pow Wows. The Queen Mary in Long Beach is the site for numerous cultural fests through out the year including the Scottish Festival. Long Beach Aquarium of the Pacific hosts many festivals including Baja Splash and South East Asia Festival this Oct 3rd, 2009. 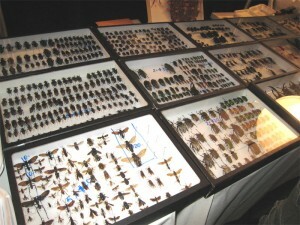 Below are some images from the The Natural Museum of History’s Annual and Amazing Bug Faire which had the most unique activities: cooking scorpions, eating cricket chex mix, petting tarantulas and dancing in a pavilion filled with butterflies. ……………………………………………This brings me to my next tip...5. If a festival has a website – log on before you go to the event, and not just to find directions and costs. Find out if there are activities for kids, not just rides. 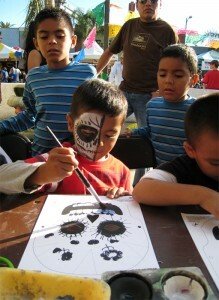 If there is a sponsor for the kid’s crafts that usually ensures that the crafts and activities are free. It is no fun to find out that the only things that your children want to do will end up costing you more than food and gas combined. These crafts are our favorite form of memorabilia to take home. 6.Look for Discounts Oftentimes local stores and restaurants co-host events and offer discount tickets. Money-saving offers can also be found on websites. Find out if there are days when you can go two for one or if you can get a discount on tickets for the events. County Fairs usually have such discounts like LA County Fair. 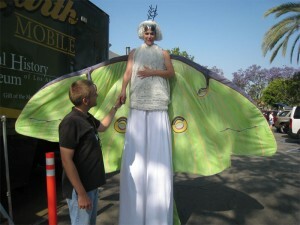 The Ventura County Fair happens in Aug, but given that their county fairgrounds are on the beach it is never too hot. The Calabasas Pumpkin festival in mid-October brings in a traveling sea-life touch tank, top notch reptiles & amphibians as well as free crafts , who has recently switched to unlimited rides for an entrance fee vs pay for tix. Look for the two-story pumpkin & banner promoting the festival that goes up on I-101 between Topanga & Las Virgenes exits in September. We decorated our Orange Shirts like Jack o’Lanterns at home. Set the Time aside to avoid feeling rushed! 7. So how can you make a festival more fun for the younger ones? Does the festival have a map or program guide? By bestowing a child with the honor of being the “Map Holder” or “Schedule Keeper” you will have begun a great lesson as well as put a big punch in their pride card. “It’s time to eat, where do we go for the food, Miss Map Holder?” We let our kids do it completely on their own, even if it seems that they are thinking and moving slower than a three-toed sloth. The worse thing you can do is give a responsibility and usurp it. If need be, get your own map! You can also put a child in the position of accountant who doles out money, whose biggest task is holding enough back for the treats or rides that are most important to each family member. Another fun idea is to create your own scavenger hunt beforehand or on the fly. Pick three items or more for them to find through out your day (a food that is not American, a game that includes a ball, something that flies). And have them explain as much as they can - how many ingredients are in that food, how does it fly or how many traditional outfits you can spot? And if you want to do it Deltac-style, go up and inquire about the outfits’ significance. 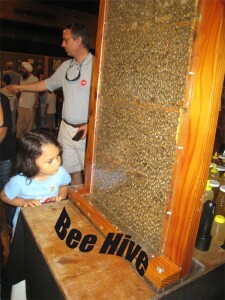 Attendees of cultural festivals are usually open for exactly this form of exchange. Be warned; you will get more than an earful if you inquire at a Renaissance Festival. 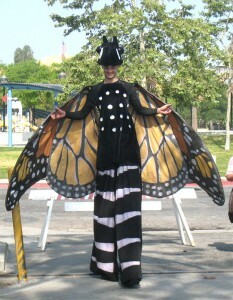 SoCal Renaissance Pleasure Faire -in Irwindale Full directory of Renaissance Faires. By bringing our own facepaints and drinks, we saved money and increased the fun. 8. Increase the Fun Factor BEFORE you even get there. Dress the part. We love to dress up (well maybe not my husband so much) for the festivals. We’ve decorated our T-shirts or put on traditional outfits our friends and family have thoughtfully sent us from their travels. We have even brought our own facepaint (saves money and the kids get a kick out of painting OUR faces). En route we discuss what are the top things that are most important that they get to do or eat at the festival. Collective efforts are put into checking off one for each family member. For the older kids, that could include getting the freedom to explore an area without parents. 9. Make it Easy on yourself and Be Portable. For some festivals it is better to have a wagon or a stroller for kids or your stuff. 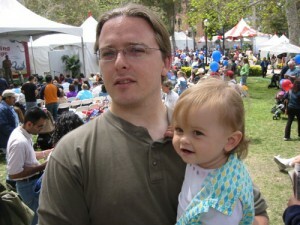 For quick visits at other events it is better to hoist a streamlined bag and small children in a carrier. But if you do bring a wagon, add a picnic blanket as well as some of your own snacks and water. Make the adventure less exhausting by taking breaks often. Find a nice shady area, throw out your blanket and just enjoy the music and people-watching with your family. Missing an event or two on the program is well worth the relaxed nature that a break can foster. This is when we ask each person to share their favorite experience thus far. Some of the most golden moments occur just in reflecting. Always bring sunscreen, hats and extra water (can you believe we were forced to pay $3.25 for a small bottle of water last week?). I also carry a few kleenex in my pocket in case a bathroom is out. With little kids that stray, consider having the family dress in the same color shirts or hats. I’ve even put those velcro jingle bracelets on my daughters’ ankles. They love being a musical instrument and I don’t have to even look up to know they are nearby. For night events, we wear glow-in-the-dark bracelets from the dollar store. I would like to save everyone from the feeling that you may have lost your child. And children don’t like to “lose” their parents either – by joining in, you will reassure them as well. 10. Make a wish list of Festivals. About 3 times a year, I take the time to surf the web and post the websites of upcoming festivals on my outlook calender. I Google “festivals” and then Los Angeles County, Ventura County & Orange County in Southern California. That way each month, I have a slew of options and avoid missing favorites. No excuses if you live in a small town. Sometimes those have the best (notice Watermelon Fest in calender below). I can vouch for most of the events below being family friendly and worth the trek. Feel free to tell me about your family’s favorite festival via email (in the upper right of page). Send it, even if you don’t live in Southern California, because we are always willing to travel for Festive Family Fun!!! 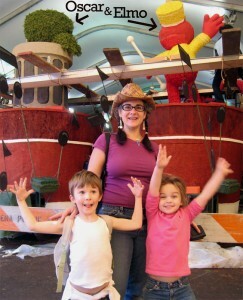 Crafts, art, Music and more at the Free French Festival held at the Getty – Kids love riding the tram!